Click to be directed to our SAA Apparel/Accessories Gear web link to browse, and make your purchases. 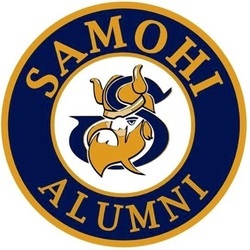 Our Mission is to provide the Alumni of Samohi with the opportunity to Connect, Support and Continue their Viking Heritage throughout their adult lives. Please take the opportunity to explore our website. We thank all alumni for their continued support and hope that no matter where you may roam, you will always consider Samohi your home. Samohi Alumni Association is incorporated as a nonprofit corporation under the laws of the state of California and has been classified as an organization described in section 501(c)(3) of the federal Internal Revenue Code. The organization is exempt from both state and federal income taxes. Our tax ID number is 95-4228641.